The complex is at 990 and 995 Joshua Way, and 2750, 2760 and 2765 Progress Street. The buyer, Vista Industrial LLC, is controlled by the Los Angeles offices of Hartford-based Cornerstone Real Estate Advisors LLC. The seller, I&G Direct Real Estate 8 LP, is a unit of JPMorgan Chase (NYSE: JPM) of New York City. The transaction was handled by Aric Starck of Cassidy Turley San Diego, and Rick Putnam and Bret Hardy of the Los Angeles office of Colliers International. The buildings are primarily industrial, but each contains an office component to support the rest of the space. All of the buildings feature dock-high and grade-level doors. The property, which sits on roughly 26 net acres, has about 40,000 square feet available for lease. Starck said he doesn't anticipate any major difficulty leasing the space given that the Vista submarket has seen its industrial vacancy decline to about 7 percent. Major tenants in the complex include Jeld-Wen, a major window and door manufacturer that leases about 180,000 square feet; John Deere Water; CTDI, an electronics firm; Hay House, a publisher; and the Graybill Medical Group, among others. Starck said there is a lot to like about the complex that was built in 1999. "It's the nicest institutional quality complex of its type in North County," Starck said. "It is a very prominent place to have a corporate headquarters." Even with a major recession in between, the price of the Vista property has gone up significantly since it was sold for $41 million in 2004. The complex sold for $27.54 million in 1999. At that time, the development -- then owned by a teachers’ pension fund -- was touted as the largest speculative industrial development in north San Diego County history. The project was developed by a partnership of Newport Beach-based Master Development Corp. and Conning Asset Management Co., a General American Co. subsidiary. The land had been purchased by the developers for $4.8 million in April 1999. 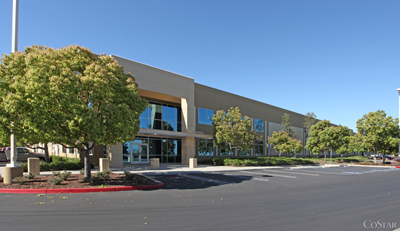 The North County Corporate Center in Vista is not to be confused with the North County Corporate Center in San Marcos, a much smaller property that is under a separate ownership. The North County Corporate Center sale wasn't the only recent sale of industrial buildings on and around Joshua Way in Vista. In March, a Pacifica Real Estate entity acquired 1125 Joshua Way, 1385 Park Center Drive, 2641 La Mirada Drive and 2651 La Mirada, along with a 1.43-acre parcel for future development. North County Corporate Center buyer Cornerstone is heavily invested in San Diego County and other locations around the country, and the assets haven't always been office or industrial properties. In June 2011, a Cornerstone partnership paid $58 million to acquire the 111,403-square-foot Bressi Ranch Village shopping center in Carlsbad. Other major acquisitions by Cornerstone here have included the Doubletree by Hilton Golf Resort in Rancho Penasquitos. Cornerstone paid $17 million for that property in 1999 before selling it to Los Angeles-based Laurus Corp. for $13 million in 2011. Cornerstone also paid $29.2 million for the 116,000-square-foot CentreWest Plaza office complex in Sorrento Mesa in June of last year.